Chris Sharon is the proud owner and builder of this immaculate CB750F. Based in Seattle, he is also a member of a vintage motorcycle club called the Knuckle Busters. “The love of old bikes and working on them brings us all together. We’re a fairly new club but we are coming on strong” Chris tells us. 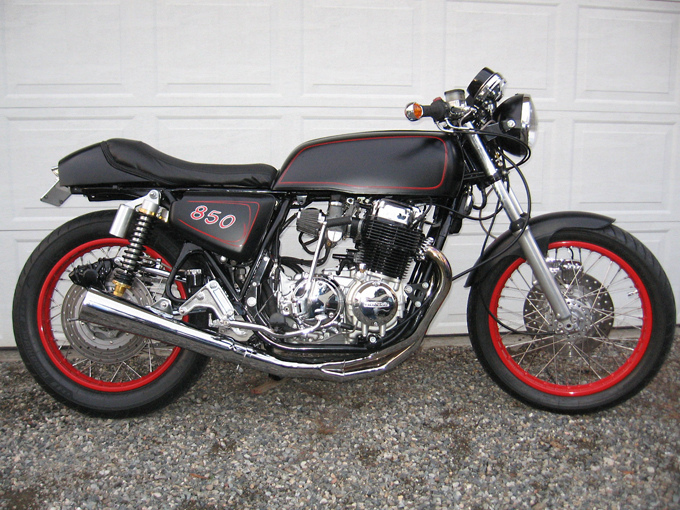 “This 1975 CB750F was my first complete frame up with every nut, bolt, and what not completely restored or replaced. The basis for my bike was that old hot rod look”. To get a few extra ponies, the heads were ported and polished, 849cc big bore with stage three cam and chrome 4 into 1 exhaust. 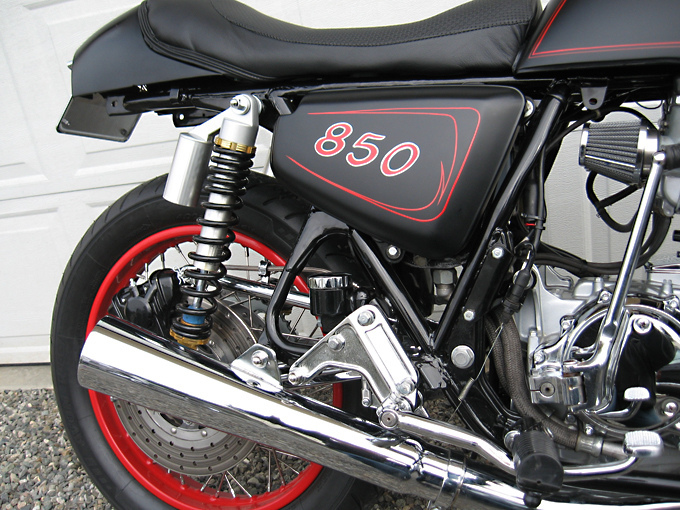 The frame was powder coated in flat black paint with hand laid pin stripes. Chris also created a simple but effective custom seat pan using the stock rear cowl. Some of the other specs include: nitrogen reservoir rear shocks and progressive springs up front, drilled disc’s and Dyna ignition and coils. “This set up pulls like a train and I’ve since had to retool the seat to keep me from sliding back too far” he says. Chris loves this bike so much that he has built another stunning CB750 which we will feature soon.